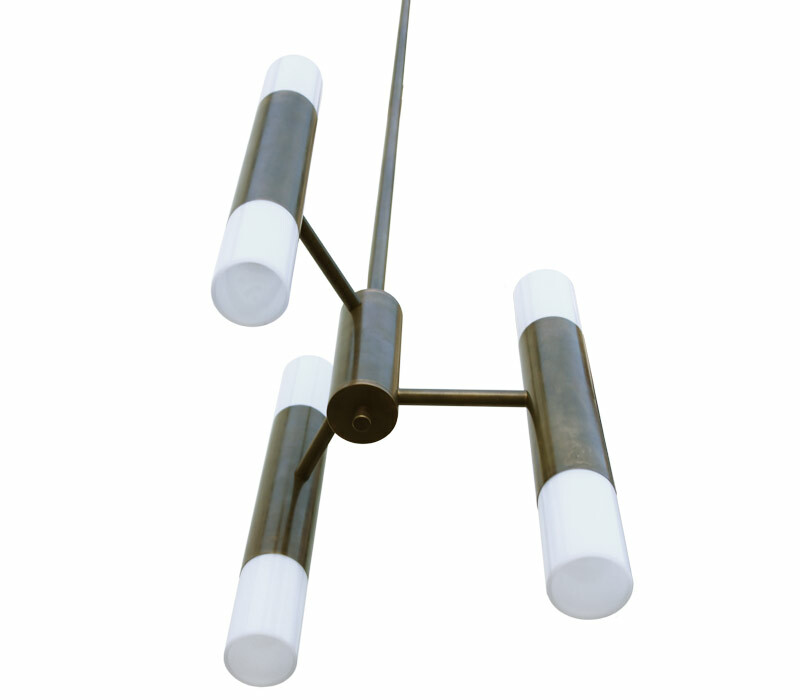 The dynamic Vertical Pendant has three offset branching arms, which radiate from a central hub. 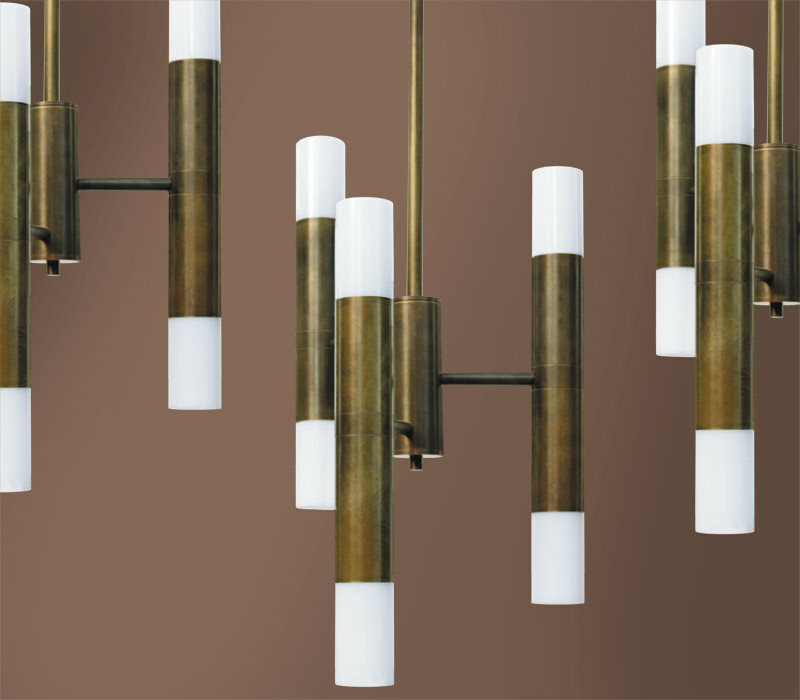 The circular geometric pattern is accentuated by the shades at the end of each upright arm, spilling light in all directions. 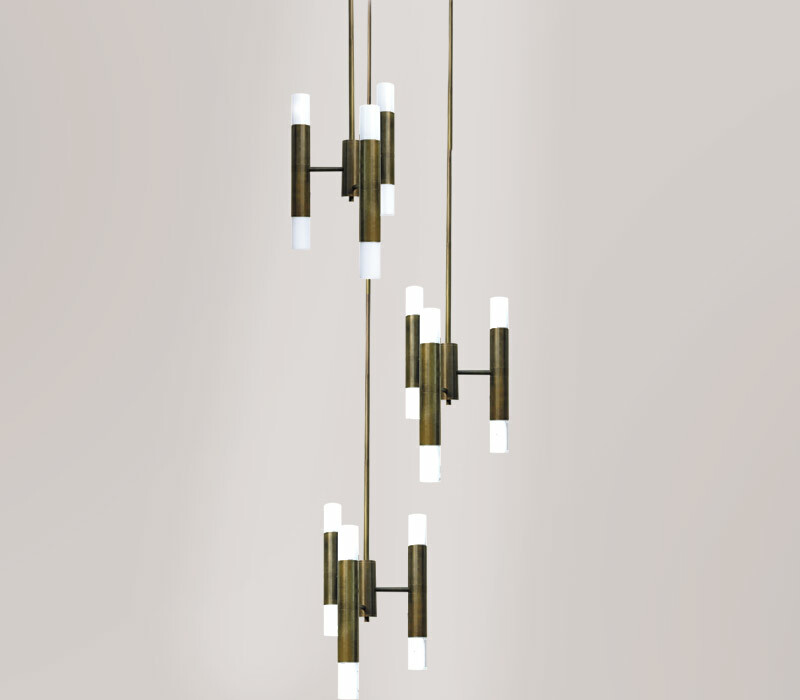 Designed to hang singly, or as a series of pendants over counters and dining areas. The shades are available in opal or clear lucite. 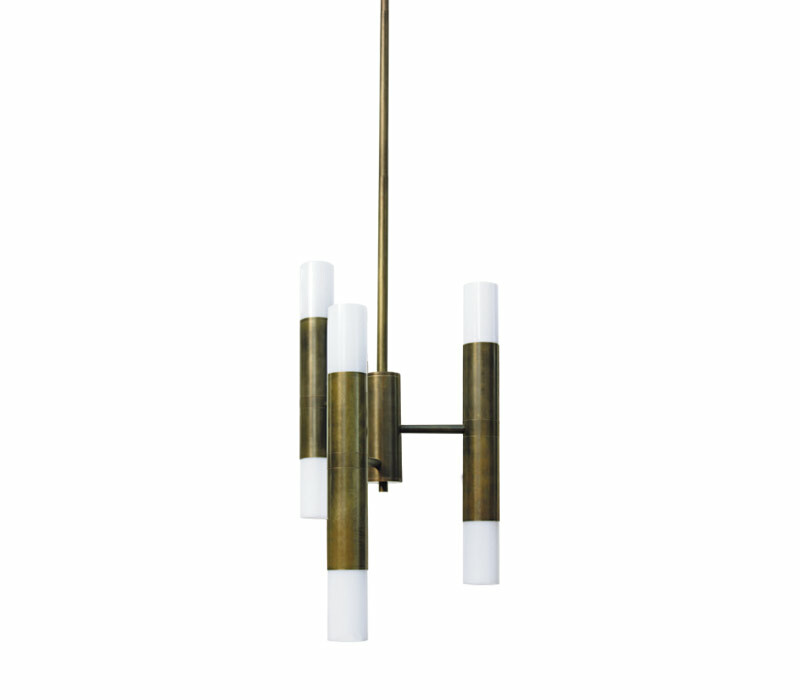 Finishes: Available in satin brass, antique brass or bronze with opal shades.